The Pacific Coast OrigamiUSA Convention for 2015 will be held in beautiful Boulder, Colorado, the weekend of October 8–12, 2015. Come and join us in beautiful Boulder, Colorado, where the scenic landscape of the high plains meets the soaring foothills of the Rocky Mountains. Located 35 minutes northwest of Denver and a short 45-minute drive from the Denver International Airport, this captivating community is enriched with natural beauty, hip urban culture and a vibrant love of the outdoors. Whether you want to get out in the Colorado sunshine on the Boulder Creek Path or one of the many nearby hiking trails, you'll be able to enjoy breathtaking views in all directions. To discover the heart and soul of this gentle city, head over to the Pearl Street Mall, a four-block pedestrian-only shopping destination. Here you can be entertained by street performers, browse through the many interesting boutiques and - for the foodie in everyone - enjoy the many local flavors from dozens of restaurants. From the thousands of acres of wide open spaces, to the friendly shops featuring arts and crafts galleries, great food, craft breweries, and inspired shopping, come and discover the uniqueness that is Boulder. 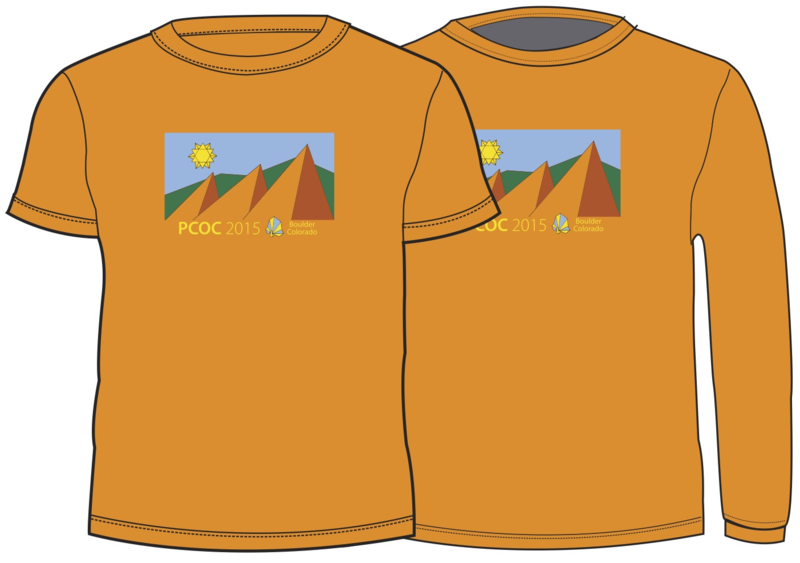 The PCOC t-shirt can be purchased as part of the Early Bird Package or A La Carte with your PCOC registration! The venue for PCOC is the Millenium Harvest Hotel Boulder, located in the heart of Boulder, Colorado amid 16 beautiful acres. See Travel and Lodging for more details. PCOC 2015 welcomes our Special Guests: Leyla Torres and Michael Naughton! You can 'like' us on Facebook; spread the word!